Titanfall's "campaign multiplayer" will feature a lot more story flavor and scripted events than the "classic" modes of the beta. Titanfall does not have the traditional singleplayer campaign mode that is prevalent in most multiplayer shooter series such as Call of Duty and Battlefield. However, that doesn't mean it won't have a story, in fact, Respawn Community Manager Abbie Heppe explains that the game will feature a "campaign multiplayer" mode, which will have a lot more story flavor and scripted events than the "classic" modes players are currently enjoying in the beta. "With the campaign multiplayer, you'll play once through as the IMC and once through as the Militia," Heppe wrote. "Because it's a multiplayer game, it's always moving. It'll start out with these scripted sequences, and there'll be way more dialog and characters and way more context for the world than you would otherwise get in the classic modes, but it's not a single-player game. It is still a multiplayer game with story elements woven in." 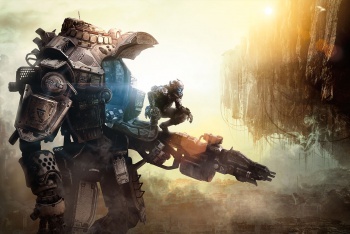 Heppe says that the decision to drop a traditional story-based singleplayer campaign was to give Titanfall's multiplayer as much attention as other developers devote to their singleplayer modes. "So when we talk about the game having singleplayer elements, one of the things we're really talking about is the quality of what you're seeing in multiplayer," Heppe added. "It doesn't get done a lot, because normally you're saving the high-quality art, animation, everything like that for the single-player and scripted portions of the game. For us, we're trying to get that attention to detail and those big, epic moments and that really cinematic stuff, but have it happen in multiplayer." Certainly sounds very interesting, and IMO is a way better idea than just shoehorning on a singleplayer campaign that no-one wants to play anyway.